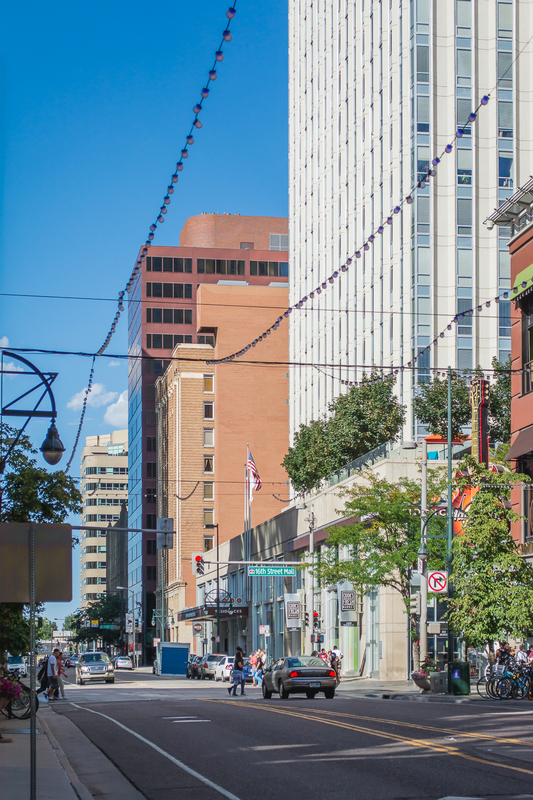 While I don't have any photos of the candy factory (I forgot my camera in the car), or the water park (I didn't want to ruin my gear), I did get some pretty awesome shots of downtown Denver! 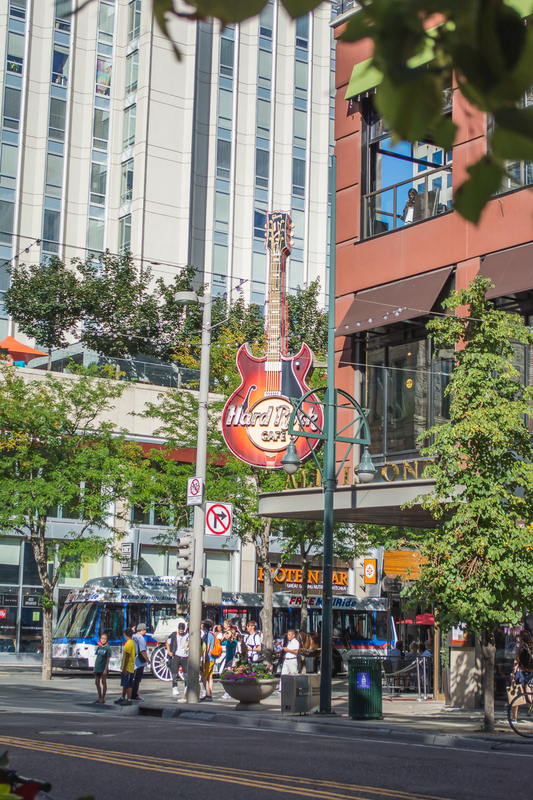 The Hard Rock Cafe at the downtown Denver mall. My beautiful niece sitting on a set of stairs up to the second floor of the mall. The Colorado Capitol Building in downtown Denver. My family crossing the street, headed back to the car after our walk around downtown Denver. This advertisement was on the side of the downtown Denver mall, but combined with the streetlights and the parking lot, I thought it was a pretty cool view.